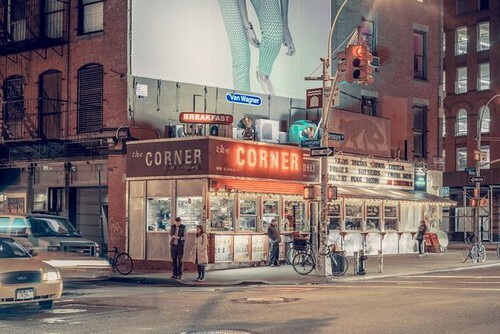 Like scenes from a modern noir film, Frank Bohbot’s images of New York City conjure up allure and heartbreak. 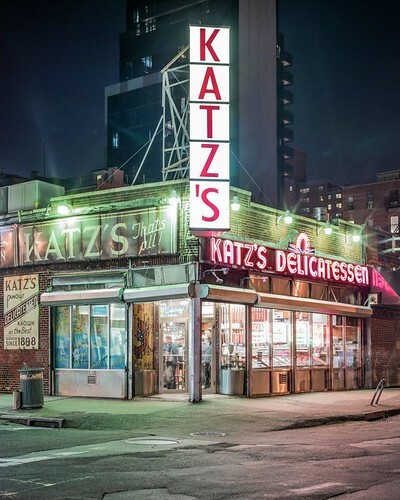 The Paris-born photographer spent 18 months capturing nighttime scenes across Manhattan and Brooklyn, and has compiled them into a project dubbed Light On. Bohbot’s work is first and foremost a study in signage, and features many instantly-recognizable storefronts including Katz’s Deli and the Sunshine Cinema, but pay attention to each frame’s shadows and open space. Light On isn’t just focused with dazzling neon—it’s also a study of snowstorms, puddles, fire escapes, and, occasionally, people. It’s as if you gave William Eggleston an unlimited Metrocard and forced him to stay up all night. More at “Photos Bring NYC’s Neon Nights To Life,” and at Bohbot’s website. 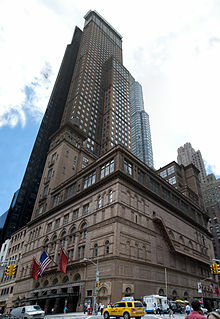 As we refuse to go gentle into that good night, we might recall that it was on this date in 1891 that Carnegie Hall was officially opened. 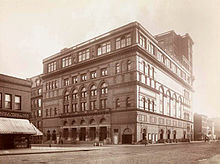 First know simply as “Music Hall,” it was formally named for it’s funder, Andrew Carnegie, in 1893.